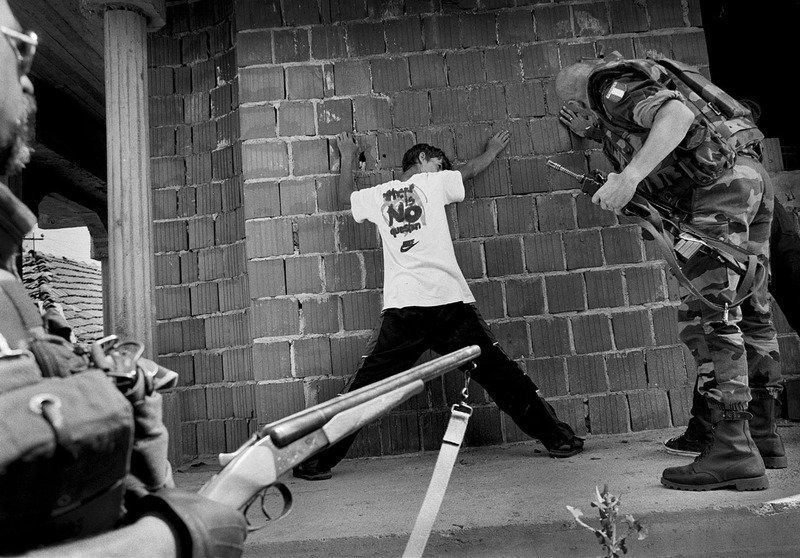 Kosovo - 1999 - French peacekeepers search an Albanian boy suspected of vandalism and looting. When the Albanians returned from exile they took their revenge on the Gypsies who helped the Serbs. Many Gypsies were killed, while some managed to escape. All the Gypsy houses were burnt to the ground and looted. French peacekeepers tried to intervene as best they could, but were unable to stop all the looting and acts of retribution.